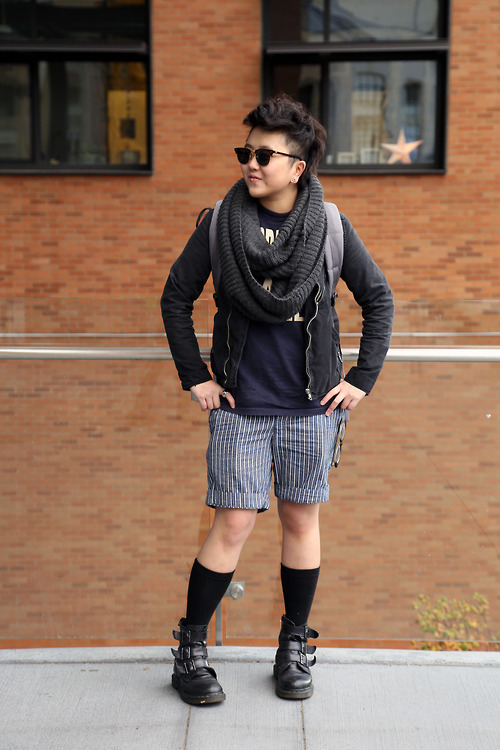 Vowel Chu, a recent addition to the journalism program, transferred to the UW this past fall and immediately noticed a big difference in how people dress. With the idea popping into her head within the first week of classes, Chu decided to start a blog, which a friend helped her title Draped in Purple and Much More, capturing the unique styles of UW students. Although nerve-wracking at first since English is her second language, Chu would spend hours on campus walking up to students she labeled as fashionistas, asking if they wouldn’t mind posing for a quick photo. With the website pulled up on her phone, she explains her mission, takes down their name and email, and finds out where they bought each piece of clothing. At first, finding people was hard because the weather was cold and carrying a heavy camera around for hours became taxing, not being used to Seattle weather. Growing up in Hong Kong, Chu was exposed to “a very international city,” with frequent visits to Japan, which has an extensive fashion culture. Chu has been studying art from a young age, but she hopes that her message and thoughts can be distributed to a greater number of people and more effectively through a career in journalism. With a desire to work as a writer in the art field, Chu wants to continue to inspire others – which happens to be her main goal for the blog as well. 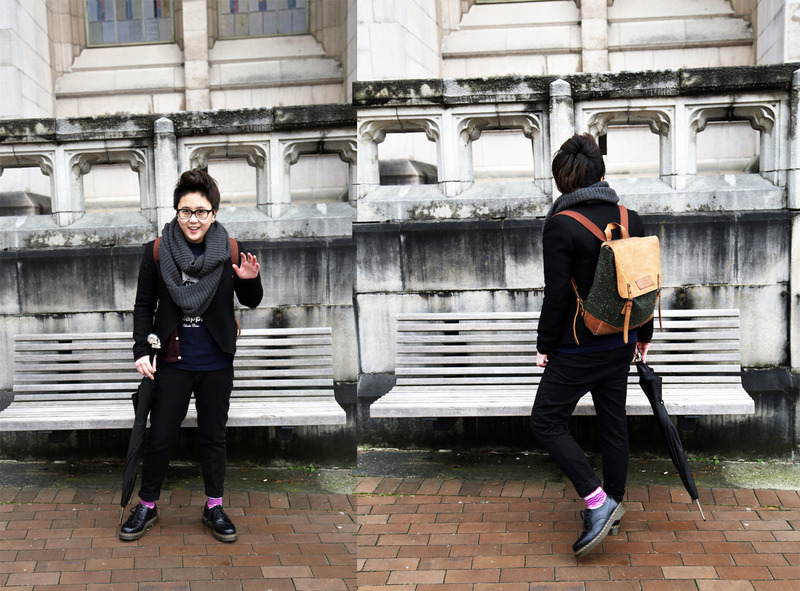 Vowel Chu, photo from her blog.